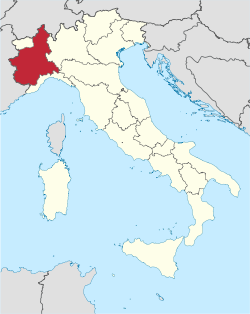 Piemont (Inglis: Piedmont) is a reigion in noorth-wast Italy. It haes aboot 4.4 million fowk an a aerie o 25,399 km². Piemontese is the heid local leid. Occitan an Franco-Provençal is spoken an aw. The caipital is Turin. Piemont haes mairchs wi Swisserland an Fraunce. The Alps surroond Piemont at three sides.